PORTLAND, OR – A landmark study published last year in one of America’s most respected scholarly journals provides powerful evidence that “feel-good” legislation – indiscriminate and/or unenforceable bans, as well as draconian sanctions applied to behavior that is already illegal – degrades respect for law and reduces compliance, while aggravating (or at best, failing to improve) the problems these laws were supposedly enacted to solve. The legislative backfire gallery – laws intended to achieve an admirable goal such as reducing neighborhood nuisances, stray cats or discarded dogs but which often achieve the opposite effect – include arbitrary pet limit laws, bans against specific breeds, penalties against feeding neighborhood cats, outlawing elective veterinary procedures like debarking and declawing or charging exorbitant licensing fees for intact animals. In addition to requiring unachievable levels of enforcement, such laws tend to push responsible pet owners underground or out of ownership, neither of which is good for the community; and they also have little effect on irresponsible owners who will continue outside the licensing system. Bans against specific breeds produce relinquishment and euthanasia of well-behaved pets of the targeted breeds, while irresponsible and criminal pet owners just switch to new breeds and continue abusing their dogs. Penalizing home owners for feeding neighborhood cats assures that more feral cats will be euthanized. Banning elective veterinary procedures often converts a household or neighborhood concern into a shelter statistic, as pet owners give up on solving problem behaviors. Charging exorbitant license fees for intact dogs and cats causes responsible breeders to cut back or opt out and thereby reduces the best source of home-raised, healthy, well-socialized puppies and kittens. Yet it won’t affect breeders who don’t license in the first place, the ones most likely to create castaway pets. Ironically, laws that push people and their pets out of the licensing system also hamper the principal function of licensing: that of assuring rabies vaccination compliance. And unreasonable, unenforceable animal control laws erode community support for animal control. Although such regulations may be well-meant, the unintended consequences have striking parallels to the gun control study by Kates and Mauser. Their Harvard study said: “Banning guns to felons, violent misdemeanants, juveniles and the insane (which our laws already do) is a good idea in general, though such laws are very difficult to enforce. Disarming those who only want to defend themselves, however, is a surefire road to empowering criminals at the expense of the innocent.” The result in many cases increases the crime rate rather than decreasing it, simply because, for the criminals, disarming the population increases opportunity and decreases risk. But how does a disarmed community, becoming more vulnerable to criminal activity relate to a community that adopts burdensome licensing fees, breeding restrictions or bans on pets? The lawmakers’ missteps in each instance have common factors, both relating to the effect on the community as a whole. Because they don’t distinguish between good and bad gun owners, gun bans diminish the freedom of law-abiding gun owners, while leaving the criminal gun owners as free as they were before the ban to continue their illegal activities; thus making gun-related crime – the original target – worse. Unrealistic pet laws diminish the freedom of law-abiding pet owners, chase the best of them out of the supply chain, and leave scofflaw pet owners as free as they were before the imposition of restrictions to continue as an unlicensed or uncontrolled problem segment of the pet owner population. Just as law-abiding gun owners cause no problems, law-abiding pet owners cause none, either. Yet, both are hit with restrictions while the causes of problems in each case find new opportunities: one to commit armed crimes unopposed by any force, and the other to fill the void of puppy and kitten demand as responsible home-based breeders – dedicated breed enthusiasts in particular – cut back or quit. The result of this is a threefold whammy: 1) unlicensed activities continue at the same rate (or increase as the human population increases); 2) a significant number of pet owners who want to be law-abiding citizens give up banned breeds, quit feeding neighborhood cats or terminate valuable breeding programs rather than operate illegally or cope with unreasonable laws and increased fees; and 3) because demand for many beloved breeds does not decline when a law is passed, people who know little about breeds or breeding move into the void to fill demand. Unlike the overregulated compliant breeders of the past who were dedicated to improving and preserving breeds and promoting responsible pet ownership, and belonged to associations like the American Kennel Club (AKC), the United Kennel Club (UKC), Cat Fanciers Association (CFA), The International Cat Association (TICA) and many other associations organized for service and other working dogs, the newcomers appear motivated mostly by the opportunity to make a quick buck. They lack knowledge of basic husbandry and health, and don’t have good placement practices. So along with encouraging pet relinquishment, feel-good laws guarantee that good breeding and placement practices will be replaced with poorer practices, and in the long term they assure an increase in shelter animals – one of the original target problems that the new restrictions were supposed to solve. Is it any wonder, then, that best estimates suggest that only about 30% of pets targeted by these ordinances are ever licensed, even though both human and pet populations are rising? Instead of recognizing pet ownership as a widely held, positive community value and working with the pet owning community to create reasonable, enforceable laws, attempts to license the remaining 70% of household pets have focused on the empty threats of enforcing greater restrictions and heavier penalties. Empty, because funding for increased enforcement usually does not exist. So while this tactic may scare a few owners into grudging compliance, it also causes a corresponding loss of cooperation and support from the group that was already compliant. Following passage of draconian anti-breeder laws, shelter populations in the area rise. Passing feel-good laws is akin to the old joke about the tavern drunk who was looking for his lost keys under the streetlight, rather than down the block where he actually lost them – because, he said, “the light was better.” Passing laws that strike at easy targets (the law-abiding, responsible pet owner) does little to solve the problems of noisy, abandoned or dangerous animals, euthanasia rates, and the like. It mainly alienates the pet-loving population from animal control agencies charged with enforcement, and sets up a needless conflict between groups (i.e. state or local government vs. dog and cat enthusiasts, kennel and cat clubs) that should be allies. The good news is that some local and state governments have understood these commonsense arguments (backed by reams of studies and statistics) and have avoided passing “feel-good” laws in favor of smart, targeted legislation that actually addresses problems and puts pet owners and animal control enforcement on the same side. NAIA applauds this enlightened legislative approach and has, in fact, helped lawmakers in numerous jurisdictions to craft superior regulations. Across the nation, NAIA has helped replace breed-specific language with language targeting at risk behavior and irresponsible and abusive pet owners. In Oregon we helped pass a landmark dangerous dog law and in Monroe County, Florida, we worked with residents and local government to replace an unenforceable $500 intact animal fee with a $35 fee, removed arbitrary restrictions on animal limits, and made other changes that vastly increase chances for compliance and cultivate goodwill and cooperation between citizens, lawmakers and animal control officials. Over the course of the last 16 years, NAIA has played a role, directly or indirectly, in hundreds of positive legislative outcomes. We have served on national, state and local task force bodies, on blue ribbon panels, and on animal welfare, and fish and wildlife committees aimed at improving public policy affecting animals, animal ownership and the natural environment. In many cases, NAIA and its members have succeeded in launching precedent-setting initiatives. We have helped draft model laws, created reasonable standards for dog parks, removed arbitrary limit laws, improved consumer-protection laws, backed successful trap-neuter-return programs and generally helped make animal-welfare and animal-control legislation more reasonable and effective. Similar to the gun ban study, our research, as reflected in the NAIA Guide to Pet Friendly Ordinances, shows that to be successful, ordinances must distinguish between responsible and irresponsible pet owners. They must offer support and incentives to encourage and reward responsible pet ownership; and they must enforce reasonable penalties against irresponsible pet owners to bring them into compliance. 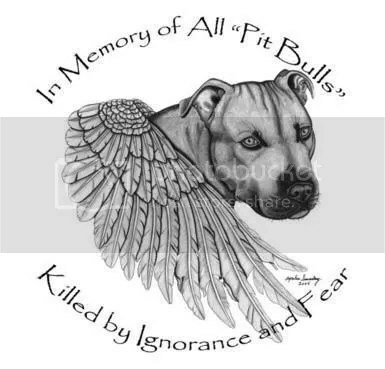 Oppose The Breed Specific Legislation!! Sign Here!!! Below are two separate petitions (there are hundreds out there!!) choose one or start your own. BUT please get involved before this becomes the dog version of the Holocaust!!! Oppose Breed Specific Legislation!!! The media and the inexperienced would have you believe that these breeds are vicious and should be prohibited. However, these breeds as a whole have proven their stability and good canine citizenry by becoming Search and Rescue dogs,Therapy Dogs,by working inside hospitals, and being used as professional herding and sporting dogs, as well as by serving families as faithful and sound companions for years. Our Country was not founded on the restriction and punishment of the masses based on the actions of a few…. when has this changed? Statistics and studies do not support the assertion that any one breed is dangerous.When legislation is focused on the type of dog it fails, because it is…unenforceable, confusing, and costly. Focusing legislation on dogs that are “vicious” distracts attention from the real problem, which is irresponsible owners. We suggest that the appropriate policy should be “blame the owner, not the dog.” Owners can and should take responsibility for their pets. The legislation that is both enacted and proposed across the United States is unfair for responsible citizens and it addresses the wrong problem. Voting for and standing behind BSL only harms the law abiding responsible dog owner. We stand to loose many wonderful and valuable canines if the Breed Specific Legislation is allowed to continue. Thank You. This petition, once completed, will go to all the State Representatives throughout states with Breed-Specific Legislation. Many innocent animals have already died for no reason other than fear of the unknown. No animals, just as humans, are born “vicious”. Instead of killing off a few entire breeds, we should start educating more pet owners and all people alike. I have a 4 year old American Staffordshire Terrier, who has never shown any signs of aggression towards people, yet I am forced to pay about $1000 a year in Dog-Bite Insurance alone because he belongs to the “pit bull” group. I also tried to get covered under Homeowners insurance and most companies said if he even looks like a “pit bull” we cannot cover you! What does a “pit bull” look like? Please, for all you skeptics, go to this site and try to find the “pit bull” and if you can’t how can someone tell you what attacked them. 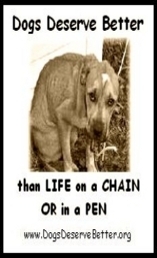 If you can’t tell the difference, why should they pay, sign this petition an help save lives! I live in Ohio, and there may be a change to the Vicious dog law if enough people speak up! If passed, this bill #189, will take out the name “pit bull” from the bill and they will be treated the same as other dogs, where they are only “vicious” if they show signs of aggression towards someone or bite them. I think it is fair enough to judge an animal based off of their past rather than off of their breed alone. If we can get one state to change, maybe others will follow and with other breeds!There are so many breeds that are being punished because there are dog-fighters that are not caught and animal abusers not prosecuted to the full extent of the law. Please help me to get these laws repealed and to protect our animals. I love my dog and I hate to see animals put down because of certain peoples irresponsibility. Help save innocent animals by signing this petition! Not all “pit bulls” and Rottweilers are “vicious”!! !If you know of any abused animals please visit this site and they will try to stop this cruelty! a great site and it’s free!! !